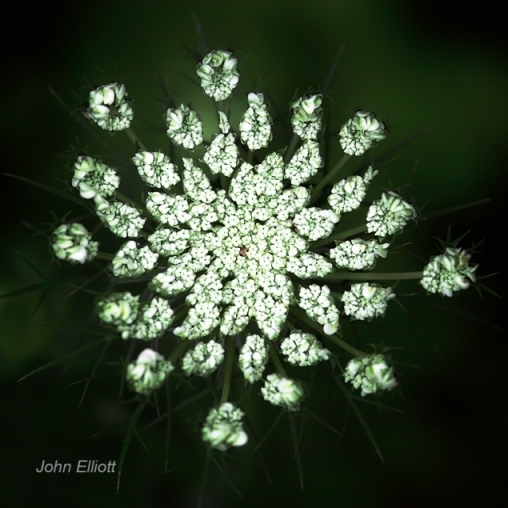 It's quite a challenge to capture the essence of Queen Anne's Lace in all it's geometrical glory. This one is most unique in it's resemblence to a jewelled broach or pin. It is a single photo taken on a hiking path at 5 Rivers Environmental Education Center in Delmar, NY.